The Horseshoe Bend Vineyard is the coolest and most coastal of our three Vineyard Designates. The vineyard is a ridge top site at the crown of the sub-region known as Occidental Ridge, located on the extreme western edge of the Russian River Valley appellation, above the coastal town of Occidental. Cool ocean breezes create a bright, firm acidity in the Pinot, while the elevation allows for enough warmth to ripen the tiny clusters, as it sits above the famous fog banks of the Russian River Valley below. The small concentrated clusters give the wine a unique structure and texture while adding a streak of earthiness and darker spices. 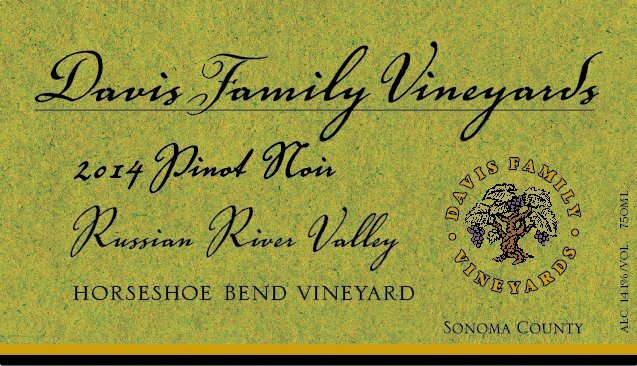 The Horseshoe Bend Vineyard is located in the Occidental Ridge subregion, on the extreme western edge of the Russian River Valley. The vineyard is situated on a ridgetop at the crown of the subregion, above the coastal town of Occidental.